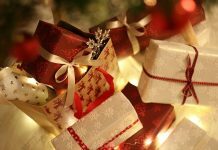 Christmas is a festival of celebration, joy and love for family and friends. On this auspicious occasion new clothes, delicious food, decoration of home and streets, distribution of chocolates etc. are some things that make it more special. Dresses for every member of the family are bought on Christmas and especially for teens, buying the right dress is not less than a challenge. Christmas dresses for teens are very difficult to choose, because at that age a teen wants to look smart like an adult and innocent like a child. Teenage is the most challenging age and all the teens want everyone to pay attention to their looks and appearance. And a good and smart dress will make them attractive; if it is Christmas then the choice is unlimited. So, here are some ideas on Christmas dresses for teens that can help them to groom so that they can rock the Christmas party. Various coats and jackets with different styled hats are available. Stripped sweaters and plain sweaters in red, olive green, purple and black color are in trend for this Christmas. Denim jeans are never out; even this time also patched jeans still rock. Sweatshirts are also to be seen in the market in a huge variety. Gowns and maxi dresses for girls will give teen girls a different look. Belts, scarves and hats have a variety of styles and color, like beaded belt, dotted scarves etc. As it is winter season so the shoes will take the place of sandals and slippers, a wide range of fashionable shoes for both girls and boys are available at many stores. Accessories like watches for boys and jewelry for girls should be according to the dress and the party. The dress should not be very revealing, it should be simple and smart as it is the style of teens. 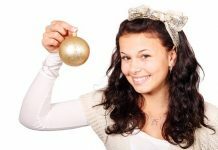 Christmas dresses for teens: How parents should choose the dress? When parents select dress material for their teenagers, then they are more conscious because they do not want that a negative image or impact of their teens with other if they choose a wrong dress. You should make sure that the clothing you pick is designed decently, you also have to take in consideration the words or pictures printed will not be misinterpreted. One other important thing is that the style of clothes you choose does not reveal sensitive part of their body. As Christmas is the most awaited festival so the budget can be somewhat up and down in the month of December. And if your children are in their teens, then there can be a little burden as they want a complete glamorous look for themselves. So, don’t do too much expenditure on their dresses, rather make them realize the financial condition and gift them a decent looking dress that is in your budget that will make them happy as you are gifting them the dress. Consider their choice but do not go over budget.